UNDP tutors are drawn from both UNDP's own staff as well as its roster of external experts. You can be assured that all have extensive and relevant experience. A selection of their profiles are shown here. Andria Bjørnestad joined UNDP/PSO in April 2011 and works today as a Procurement Specialist in the Quality Assurance and Professionalisation unit in UNDP’s Procurement Support Office in Copenhagen. Andria Bjørnestad started working for the UN in 1992 when she joined UNICEF Supply Division’s vaccine procurement unit (EPI). In 1997 she moved to UNOPS’ Division of Procurement Services (DPS) as a buyer of goods and services such as: raw materials (cement, resins, chemicals, iron and steel, paint) vehicles, construction & earth-moving machinery, IT & office equipment and printing services, mainly for projects in francophone Africa and Latin America. For the last five years with UNOPS prior to joining UNDP PSO, she was a Procurement Advisor in the Global Procurement Support Unit with a focus on Corporate LTAs, procurement of services, enhancement of procurement processes and solicitation documents, and development and delivery of procurement training courses. She was also a member of the UNOPS HQ Contracts and Property Committee and chair of the Appointments and Selections Panel. As a tutor, her primary expertise lies within public procurement and CIPS accredited courses, and she delivers courses in both English and Spanish. Andria is a UK national with an academic background in language studies, she is also a fully qualified Member of the Chartered Institute of Purchasing and Supply (MCIPS). Torben Soll is Manager in the Quality Assurance and Professionalisation unit and currently Officer-in-Charge of UNDP's Procurement Support Office in Copenhagen, Denmark. He is responsible for the design, development and implementation of procurement training, certification and quality assurance initiatives at individual, organizational and partner country levels. Torben is chairing the Professional Development Working Group of the United Nation’s High Level Committee on Management – Procurement Network (HLCM-PN) leading the common procurement professionalization efforts in the UN System. Prior to joining UNDP, Torben spent four years with the UN Economic and Social Commission for Western Asia (UNESCWA) in Lebanon, where he worked as Team Leader and Economic Affairs Officer. Before joining the UN system in 2000, he worked 7 years as Chief Consultant in Ramboll Management Ltd, the largest Danish private management consulting company in the area of public sector development. Torben is a regular tutor on UNDP courses with the main focus being on the CIPS accredited Introductory (Level 2), Advanced (Level 3) Certificates in Public Procurement as well as the Strategic Diploma in Public Procurement (Level 4). Torben is a Danish national and holds a Master's Degree in Public Administration, and is full Member (MCIPS) and Fellow (FCIPS) of The Chartered Institute of Procurement & Supply (CIPS). Yuriy Silayev currently works as a Procurement Analyst with the UNDP Procurement Services Unit in Copenhagen, Denmark. He has more than 11 years of experience within the UN in the area of procurement, contracts and supply chain management. Prior to joining the UNDP Procurement Support Office (PSO) in Copenhagen in 2010, Yuriy worked in various duty stations such as Sierra Leone (UNAMSIL), Zimbabwe (UNDP) and Sudan (UNFPA) managing diverse and complex procurement projects and logistics. For the past 6 years, Yuriy has been working with the UNDP PSO Global Procurement Unit planning and managing procurement of a wide range of goods and services associated with considerable complexity and value (HIV diagnostics, medical and laboratory equipment, chemicals, electoral materials, freight forwarding services, cargo insurance, etc.). He has a strong background in market research, risk analysis, planning and strategy development, contract management, and strategic supplier relationship and networking. Prior to joining the UN, Yuriy served in the Ukrainian Armed Forces for about 15 years. 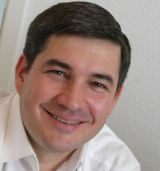 Yuriy is a Ukrainian national and holds Advanced University Degrees in Law and Electronic Warfare. Greg Soneff joined UNDP/PSO in 2010 and works today as Procurement Specialist and Team Leader for the GFATM Procurement Team based in Copenhagen. Greg has almost 10 years of experience in the area of International Procurement and Supply Chain Management. Greg worked as a procurement associate with UNDP/IAPSO from 2004-2006 before joining A.P. Moller-Maersk in a strategic sourcing function. Greg has a strong background within the areas of procurement strategy development, spend & risk analysis, supplier relationship management, and complex project management. Greg currently tutors the “Introductory Certificate in Public Procurement – CIPS Level 2” and “Contract and Supplier Relationship Management” courses. 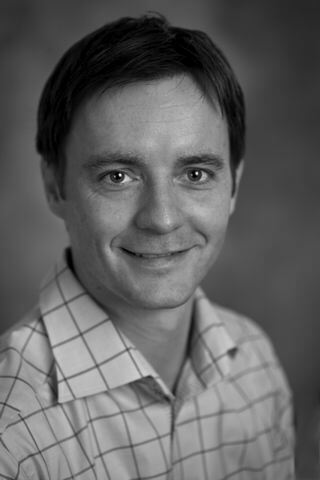 Greg is a Canadian national and holds a Master's Degree in Commerce and International Economics. Godwill Enow-Ebot is Procurement Officer with the UNDP Procurement Support Office in Copenhagen. He has a Bachelor degree in Economics and Information Technology from the University of Southern Denmark, Post Graduate Certificate in Supply Chain Management from Robert Gordon University, UK and a Master’s in Business Administration from the Blekinge Institute of Technology, Sweden. He joined the UNDP Procurement Support Office in 2009, providing procurement services to UNDP Country Offices within the areas of Health, Crisis prevention/Recovery and Energy/Environment. He has been instrumental in the implementation of procurement strategies, providing advisory, operational support both remote and onsite to different UNDP country offices. He also provides procurement training and capacity building to Programmes and projects to different UNDP Country Offices. Godwill worked previously with DHL Express Denmark from 2002-2009 in the capacities as Operations and Business performance Analyst where he was instrumental in helping the organization in improving its operational processes and distribution centre efficiency. Godwill is originally from Cameroon and naturalised Danish Citizen. He is CIPS level 4 and Prince 2 Project Management Certified. Mr. Bakhtiyor Khamraev is currently the Team Lead, Global Procurement Hub/Procurement Service Unit UNDP HQ. Delivering advisory and direct procurement support to UNDP Business Units globally. Previously managed the Central Procurement Unit in NY (UNDP HQ 2010-2014), led procurement teams in Indonesia (UNDP 2007-2010), Timor-Leste (2006-2007) and Uzbekistan (2003-2005). Before joining UNDP acted as Senior Procurement Specialist for IFIs funded large regional projects in Central Asia (1998-2003). Has experience in private and public organizations in consulting, banking, construction and tourism industries (1993-1997). Bakhtiyor has also undertook several field missions on behalf of UNDP to e.g. Congo DRC, Indonesia (Tsunami), Kenya/Somalia, Togo, Timor-Leste and Armenia where he conducted training, strategy development, operational support and capacity development. He has an extensive practical experience in establishing Global/Corporate and Local Long Term Agreements for goods and services in various counties and UNDP HQ. Victor Margall von Hegyeshalmy joined UNDP in 2006 and works today as Procurement Specialist and Team Leader for Electoral Procurement at UNDP PSO in Copenhagen. He manages and coordinates complex electoral procurement projects and Long Term Agreements (LTAs), participates as facilitator in procurement workshops and regularly conducts support missions to UNDP Country Offices (mainly to Africa, also Middle East and Europe), providing advice and support in procurement processes, procurement strategies, contracts management, and liaison with stakeholders. As PSO training tutor, his primary expertise lies within public procurement and contract management and delivers courses in both English and Spanish. His work experience at UNDP includes also the management of LTAs, electronic procurement platforms, supervising the GFATM Procurement Team at PSO, and numerous complex procurement projects in diverse areas. He started in the UN system in 2003 at UNICEF Supply Division as a Consultant for Strategic Analysis of UNICEF’s Immunization Global procurement strategy and for large contracts in Emergency and Water/Sanitation projects. In addition, he brings with him experience from the private sector as Analyst in a major international airline. Victor is a Spanish national and holds a BBA and MBA Masters Degree by ESADE (Barcelona), and a Cand. Merc. Masters Degree in International Management and Marketing by CBS (Copenhagen Business School). Alfonso Fernandez de Castro is currently Procurement Advisor in the Procurement Strategy & Policy Support Unit in UNDP Headquarters New York. With more than 10 years in Procurement and Supply Chain Management, Alfonso joined UNDP in 2002 in Copenhagen, Denmark. From 2002 to 2004, he was Procurement Advisor in the Regional Service Center in Johannesburg for the African Region. 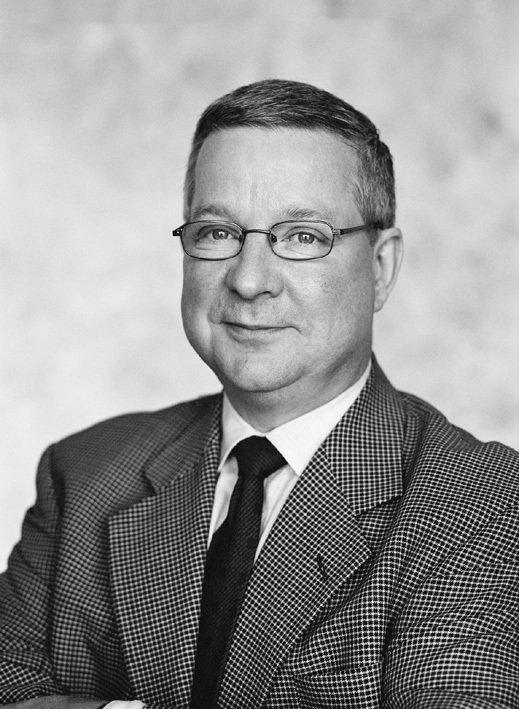 Prior to joining HQ in New York, he was head of the Global Procurement Unit in UNDP/ IAPSO. Alfonso is a Spanish national and holds a Master's Degree in Business Administration. Poul Muller has been a tutor for UNDP's training courses the last 10 years and has conducted standard and tailor-made courses for various organizations in Europe, the Middle and Far East, Africa and North America. Poul joined UNDP/IAPSO in 1994 and has solid experience in handling largescale Supply-Chain Management and e-procurement projects on behalf of UNDP, UN, GO and NGO clients worldwide. In 2007, he provided procurement related support to the UNDP Country Office in South Sudan, where he was stationed for a longer period of time as acting Head of Procurement, Contracting and Logistics. Until the end of 2011 Poul was a Procurement Advisor for the Global Procurement Unit (GPU) within UNDP/PSO, as well as Team Leader for the GPU Health Team. On behalf of UNDP and WHO Poul has conducted several field missions to countries in Europe, Africa, the Middle and Far East, Central Asia and North America. He has also conducted short term consultancy assignments for UNDP in the Middle East and the Caribbean including procurement capacity assessments, development of standard operating procedures etc. Poul was a Life Cycle Costing Expert and Logistics Advisor in the Procurement Unit of the International Atomic Energy Agency (IAEA) based in Vienna, Austria until mid-2013. For the UNDP Procurement Training team Poul tutors the Supply Chain Management in Humanitarian Organizations; Introductory and Advanced Certification in Public Procurement as well as the Diploma in Strategic Public Procurement (UNDP/CIPS Level 2, 3 & 4). Poul is a Danish national and his academic background is in Economics with Graduate Diplomas in Logistics and Supply Chain Management and Informatics/Management Accounting. Rodolfo Sanjurjo has been a tutor for diverse Procurement training courses for the past 15 years for various UN organizations and International Financial Institutions, in particular in the Latin American region. His expertise lies within the private sector, The World Bank, the UN System -for both UNOPS and UNDP- as well as tutor on "Introductory Certificate in Public Procurement - CIPS Level 2”. As detailed below, Rodolfo Sanjurjo has worked on General Procurement Procedures and Regulations, Procurement Training and Seminars, and most recently on Procurement Oversight, both as an independent consultant or as UN staff. Rodolfo Sanjurjo joined the UN system in 1997 as Head of UNOPS Lima Office (Perú), co-ordinating a staff of 25 procurement professionals tendering Goods, Services and Civil Works (over 240 tenders, with an approximate value of USD 525 millions) for Government Counterpart and UNDP; in 2002 he joined UNDP, and served as Head of UNDP Brazil CO Procurement Unit and later UNDP Honduras Procurement Unit. In 2007, Rodolfo Sanjurjo was selected Chairperson of the Regional Advisory Committee on Procurement, based in the UNDP Panamá Regional Service Centre, where he Chaired the Regional Advisory Committee on Procurement (RACP), the procurement oversight committee for all 26 UNDP CO in Latin America and the Caribbean, by revising on a weekly basis compliance with UNDP Procurement Rules and Regulations of high value procurement tenders as well as carried out procurement training sessions to all UNDP Country Offices´ Procurement staff on procurement matters and procedures, in compliance with the applicable Rules and Regulations. Rodolfo Sanjurjo retired from UNDP as RACP Chairperson and is now one of our external tutors. Rodolfo Sanjurjo is an Uruguayan National, Architect by profession and is fluent in Spanish, English and Portuguese. Jack Gottling has been a tutor on UNDP's training courses for the past 10 years and has conducted standard and tailormade courses for various UN organizations and governments in most regions of the world. His main expertise lies within public procurement and supplier relations management and he is a regular tutor on “Contract and Supplier Relations Management” as well as “Introductory Certificate in Public Procurement – CIPS Level 2”. Jack Gottling joined the UN system in 1979 and thus has a solid background in international procurement. In 1993, he joined UNDP/IAPSO and later became Deputy Director and responsible for the Procurement Services Unit and member of the Management Team . He was responsible for the co-ordination of accelerated project deliveries to UNDP country offices. In addition, he coordinated procurement policy matters concerning projects financed by the World Bank, the African Development Bank and other development banks. He was also responsible for UNDP/IAPSO’s Marine Cargo Insurance Policy and Global Freight Forwarding arrangements. His earlier assignments include Senior Procurement Officer with the UN specialized Agency ILO in Geneva (1979-1993). He has undertaken a large number of procurement missions to country offices as well as projects mainly in Africa and Asia. Jack Gottling retired from UNDP as Deputy Director in 2007 and is now one of our external tutors. Jack Gottling is a Swedish National and his academic background is in mechanical engineering. Peter Adler has been a regular tutor on UNDP/IAPSO courses for the past many years. Today his main focus is on procurement negotiations where he tutors "Effective Negotiations in Projects and Procurement”. As a tutor, Peter Adler draws upon his long experience within procurement in the UN system. His career within the UN began in 1979 when he joined the International Atomic Energy Agency (IAEA) in Vienna as Chief of its Field Procurement Section. From there, he was appointed in 1986 by UNDP/IAPSO in Geneva as its Senior Technical Advisor. 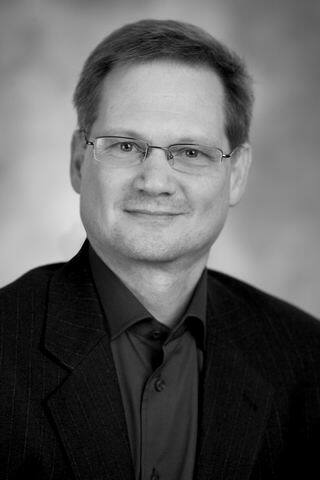 In 1990, he became IAPSO’s Deputy Director and Director of the Division of Procurement Services in Copenhagen, Denmark. In spring 1998, Mr. Adler took over the function of UNDP’s Senior Procurement Advisor to the Assistant Administrator of UNDP in New York, which he left in May 1999 to temporarily assist the UNDP project for electrification of Northern Iraq, as its Chief of Procurement. Mr. Adler retired from UNDP effective 1 Jan 2000 and has since worked as an independent consultant. Mr. Adler is a graduated physicist and holds a Ph.D. in Physics and Chemistry. In addition, he has graduated in Economics and Business Management. Christine Tonkin has had over 20 years experience in public procurement management at the sub-national, national and international levels. She has held director posts in the UNDP, at UN Peacekeeping - (UNAMID) and at the International Atomic Energy Agency. Christine is an innovator who has introduced and successfully implemented modern procurement management approaches throughout her career in this field. Since retiring from the UN system in 2013, she has been providing consulting services internationally primarily related to the implementation public procurement reforms. Based on an initiative of the UNDP Trinidad and Tobago Country Office, Christine has developed a toolkit for supporting evidence based public procurement practice transformation as part of a Change Agents Programme. A training course has been develop to introduce Change Agents to the associated tools and techniques. Christine is one of the tutors delivering this training. Alfonso Buxens arrival contributes to the strengthening of the procurement function in the region, with a focus on supporting UNDP field offices in procurement policy interpretation, capacity building and “hands-on” support in the management of complex procurement cases involving high expenditure/ high risk. 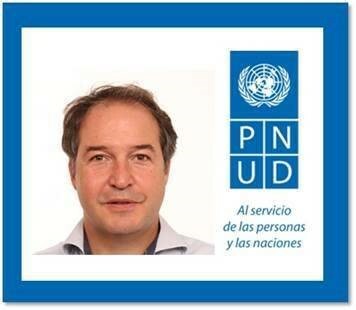 Alfonso relocates to Panama City after serving with UNDP in Copenhagen since 2009. During this time, Alfonso worked first as Lead for the Procurement Support Unit (PSU/BMS) Crisis Prevention and Recovery Team. Since 2014, through a matrixed arrangement between PSU/BMS and BPPS/GF-HIST, he has developed and managed UNDP’s global pharmaceutical sourcing and contract management portfolio which presently amounts to a U$ 200+ Millions annual spend, mainly in support of Global Fund grants and Government Cost Sharing agreements implemented by UNDP. During 2006-2009 Alfonso worked as the Principle Procurement Specialist for the Inter-American Development Bank (IADB), based in Nicaragua, where he managed a substantive public procurement reform program funded by IADB and provided extensive support to institutional strengthening and capacity development. Alfonso has been directly involved with operational, policy and strategic dimensions of procurement and contracting over the past 20+ years. He joined UNDP first in 1996 as Junior Professional Officer, at the Inter-Agency Procurement Services Office (IAPSO). He worked with UNDP Bosnia Herzegovina, UNDP Kosovo and UNDP Serbia until 2001, for UNOPS as a Procurement Specialist during 2001-2004 and for a private consultancy firm, as a Project Manager during 2004-2005..
Alfonso holds an MBA in Strategy and Procurement Management from the University of Birmingham (UK), and a Master Degree in Financial Management from the University of Deusto (Spain). He is a fully certified member (MCIPS) of the Chartered Institute of Purchasing and Supply (CIPS) (UK) and regularly conducts CIPS procurement courses for UNDP and other partners.